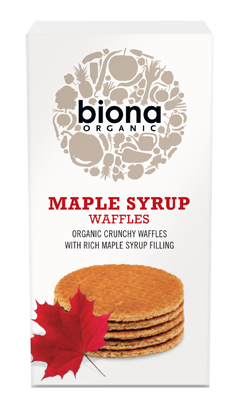 Organic wholegrain waffles with rich maple syrup filling. 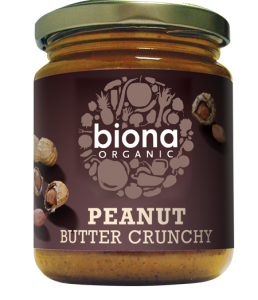 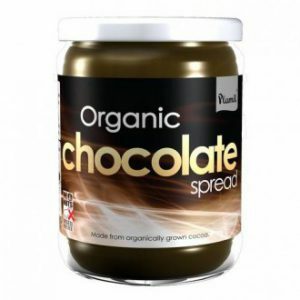 Perfect for dunking, crunching or munching on the go! 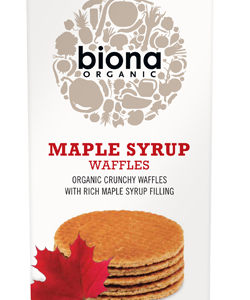 Wheat syrup*, Whole wheat Flour*, Vegetable Oils* (palm oil* (from sustainable source), sunflower oil*), Maple Syrup* 10%, Corn Malt Syrup*, Soya Flour*, Sea Salt, Raising Agent: Sodium Bicarbonate, Emulsifier: Sunflower Lecithin, Cinnamon*, Lemon*, Caramel*, natural flavouring.